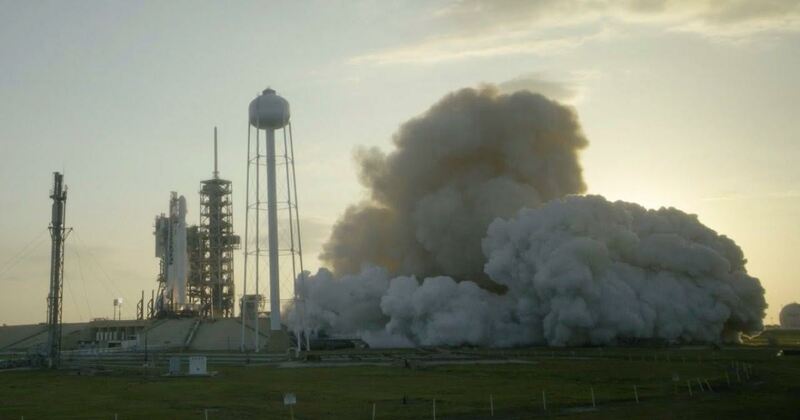 CAPE CANAVERAL, Fla. — On March 9, 2017, SpaceX successfully conducted a static fire test of the Hawthorne, California-based company’s “Full Thrust” Falcon 9 rocket. This is the final milestone in advance of a planned launch set to take place Tuesday, March 14. If everything goes as planned, the launch window will open at 1:34 a.m. EDT (05:34 GMT). The window closes two and a half hours later at 4:04 a.m. EDT (08:04 GMT). This flight will mark the first time Launch Complex 39A (LC-39A) at Kennedy Space Center will be used by a commercial launch service provider to send a commercial satellite to space. Echostar 23 is set to be sent into a geostationary transfer orbit. Built by Space Systems/Loral, Gunter’s Space Page describes the spacecraft as: a very flexible Ku-band satellite capable of providing service from any of eight different orbital slots. Planned for launch in 2016 it is designed to provide service for 15 years or longer. It will utilize SS/L’s flight-proven SSL-1300 spacecraft bus.